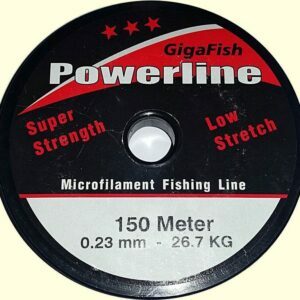 600m reel of 0.11mm diameter line, rated as 11.8kg (26lb) breaking strain Ultrafine braid, giving you more capacity on your reel. 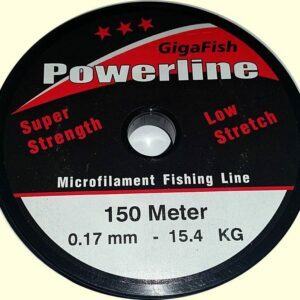 Great resistance to abrasion! 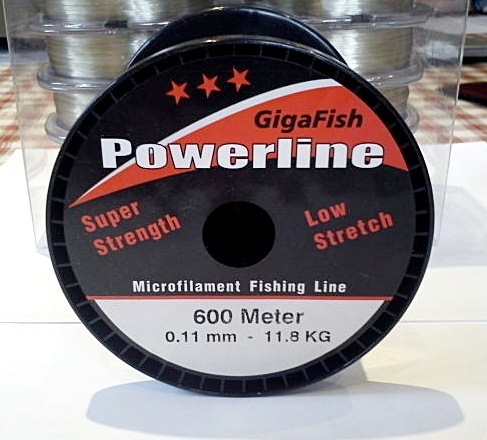 Be the first to review “600 metres 0.11mm diameter Gigafish Powerline Braided line” Click here to cancel reply.